Fetlar has an impressive list of events happening this month. The first event will be the North Atlantic sessions on the 19th, this will be a fabulous event with a veritable whos who of Shetland musicians in the line up. Tickets are selling very well so if you want to come to Fetlar for this event act quickly. Book your tickets through the Shetland box office and book your ferries. 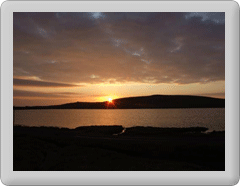 There is a late ferry out of Fetlar at 0100 with a linking 0200 ferry from Ulsta. Start time for the concert is 8pm. The Fetlar Commonwealth celebration event gets going in ernest on Monday the 28th and runs through until Saturday the 2nd August. Basic details are on the event page , but full details will be added very soon. There will be indoor as well as outdoor activities in the unlikely event of rain !